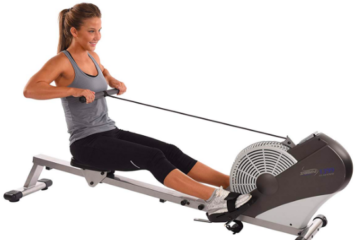 The workout that you get with a rowing machine is something that you can’t get any other way. It is the ideal way to tone your body and get some efficient exercise in your schedule, without having to spend hours at the gym. But, when you start to look at machines, it’s easy to get confused. That’s why we did the legwork for you. By the end of this article, you will know just WHY the WaterRower Club is THE rowing machine for you. All of your questions will be answered, and you will be confident that you made the right choice. You will enjoy your workouts on the WaterRower Club because it tracks your movement, stroke rate, and even monitors your heart. It is self-regulating which makes it easy to use. It is the DREAM machine for all rowers. It is smooth so that it feels like you are rowing. You get the workout that you expect with the results that go beyond what you could have hoped for. The WaterRower Club is a water flywheel which means that its flywheel is set in a housing of water. 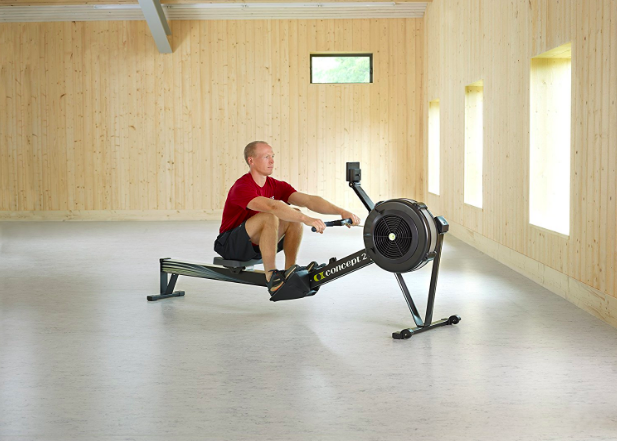 As a result, you’ll get a much more realistic feel when you’re rowing. You can definitely see the difference in the quality of your workout. The water tank provides a quiet workout and you can focus on your movements without being disturbed or feeling like you are bothering the neighbors. The construction absorbs sound so it’s perfect use: anytime and anywhere. You can even lean it against something, as storage, so all your floor space is freed up when it’s not in use. If you can row, then you can use this. It adjusts the level to what you need. You do have to assemble it, but the directions are clear an easy to follow. Even storing it in an upright position isn’t tricky: it’s stable enough for you not to worry about it falling over. The tank does need to be filled up with water. You don’t have to worry about emptying the tank when you get ready to store it. The big question on everyone’s mind when they look at getting a new piece of exercise equipment is the cost. In this case, your budget will be a bit stretched out and you’ll have to save up for a bit. It will run you slightly over $1,000. That isn’t too bad when you consider how much you’ll be sparing: a gym membership, gas, and the time you’d spend travelling to the gym. The WaterRower Club is completely worth every penny. For the price, the amenities that come with it are impressive and easy to use. The WaterRower Club is perfect for anyone who wants to be able to work out at home. The features make it noiseless and small-space compatible. The ease of use will encourage you to use it a least a couple of times a week. As long as you weigh less than 1,000 pounds and are less than 6 foot 7, you can use it without any concern. If you do happen to be over 6 foot 7 inches, then you can get an extension so that you can use it safely. If you are in rehab, this machine would still work with you. It works at all skill levels which makes it great for almost anyone. Overall, The WaterRower Club is a nice machine. It is easy to use. It is easy to store. There isn’t much room to complain since The WaterRower Club is great for anyone who wants to work out, no matter what their skill level is. Of course, there’s always something that could be better. This machine isn’t perfect. For one, its longevity could be better. The seat begins to stick in less than a year. You could get around this by oiling it more. If you don’t lift it and lower it properly, there’s a possibility of cracking the water tank. These two things are the main concerns. That being said, customer support is fast and supports the consumers well. Should this happen to you, you can contact them for troubleshooting advice and even replacement parts. Now, who doesn’t like good customer support with prompt reaction time and a friendly way about them? You may be able to find other machines with the same features, but you aren’t going to find one that has so many options in wood, color, and attachment availability. 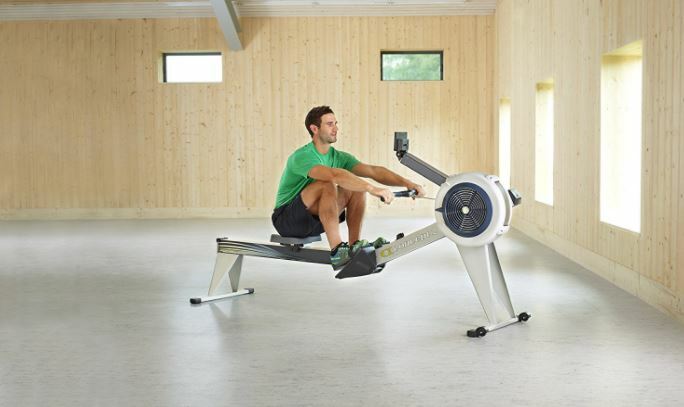 While this rowing machine seems to fit right in line with other rowers when it comes to the budget, there is one less expensive option. 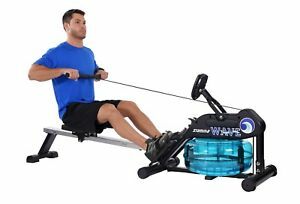 The Concept 2 Model D (Check Price on Amazon.com) has a better price point, but you are going to sacrifice both comfort and reliability. 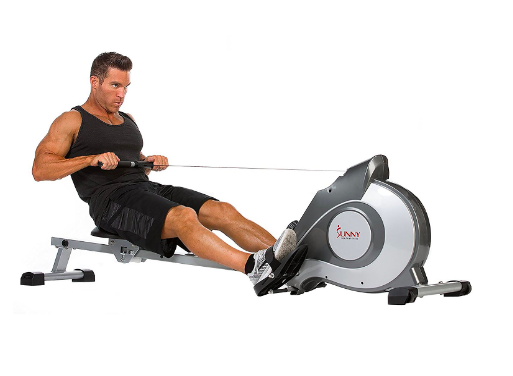 On the other hand, if you want the best of everything, you could get the WaterRower Classic Rower Rowing Machine S4 with Hi-Rise Attachment, but that’s only an option if you’re looking for something extremely fancy and are not looking to spare costs. Use the information we gathered and the research we did to find out if this rowing machine is the top choice for you. One of the best features on this rowing machine is the LCD digital monitor. Located right in the center, this monitor lets you see everything you need to know without bending or stretching. It shows you the number of strokes you made, the calories you burned, the time you spent working out and other helpful information. Many shoppers want a portable rowing machine, which is why they turn to this one. At 82-inches long, it can accommodate a wide range of users. 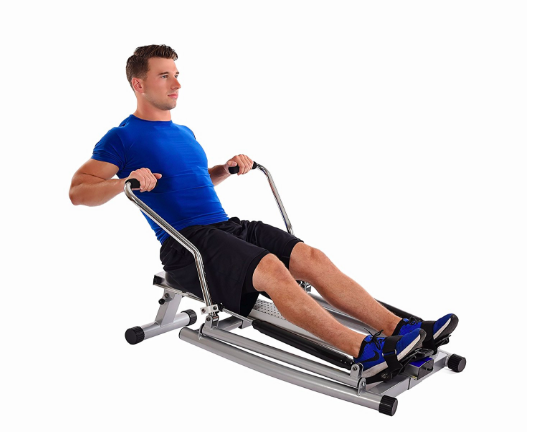 When you lift the end and push the machine over though, you’ll find that you can easily move the rower because of the large wheels added to the bottom. With eight levels of resistance, this machine lets you customize each workout that you do. The tension controls makes it easy to adjust the tension and to get the intense workout that you need. This model also comes with features designed to increase your comfort and safety. Those features include anti-slip pads on the foot pedals and non-slip grips on the handlebars. This model gets high marks from customers for both its reliability and ease of use. Customers like that the tension control knob simply rotates to adjust the tension and that they can move the seat forward and back to get closer to the handlebars. The one issue that some have is that it may arrive without all the parts needed to put it together. You can contact the manufacturer or the website you purchased it from to get the replacements that you need.